Last week, we reflected on our unit The Lives of Others, through discussing what we have learnt about racism. We worked in groups to look at racism through the lens of a concept: power, courage, identity, culture, peace, control and tolerance. Looking at racism with a focus led to engaging and thoughtful conversations. The students created a visual representation of their ideas and then discussed their poster with another group in a question/answer style conversation. We recorded our questions and responses on Padlet. It is interesting to see how differently we are thinking about the topic of racism, and how this issue can touch everyone’s lives. We have two assignments to work on. Author Study – due Monday, 24th Sept. Character Analysis – an in-class assessment on Thursday, 20th Sept. Please email me, or see me in class if you have any questions. What do you believe? What is it about the world that needs changing? What is important to us? To you? To your family? Your draft for your oral presentation is due tomorrow. Please see the assessment criteria to ensure you have done the best work you can so far. Remember, you need to speak for a minimum of one minute and follow the P (point) E (evidence) A (anaylsis) model. Our unit question: Where do our values come from? is explored through Colin’s changes in Two Weeks with the Queen. Your task is to discuss where Colin’s values came from based on his experiences throughout the play. You must use evidence to support your views. Here is the assessment rubric I will be using to assess your use of language. Please write no more than 1 A4 page, and use pen. I look forward to reading your ideas. Here is the assignment sheet for our task on Thursday. It includes the outline of the task and the planning sheet. Please click on this link to see the assessment rubric for our task on Thursday (Sept. 22nd). I have emailed it to you so you can print it out. This version is more difficult to read than the one I emailed. 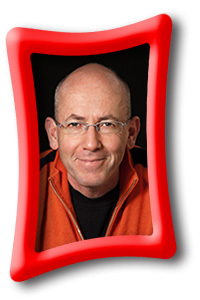 Click on the picture above to go to the Morris Gleitzman website. There you will find information to help you with your author study. Some of my favourite books are: Deadly, Wicked, Now, Boy Overboard and Toad Surprise. Make sure you check out Morris Gleitzman’s bookshelf. You can find many of his books in our library. Click here to see the assignment sheet.